It was so hard to pick my favorites from all of the fabulous inspiration pieces, techniques, and products we have added this past year. Having to narrow my choices down to 1 of each was really a challenge. I love seed beads and bead weaving techniques, so that definitely influenced my decisions. 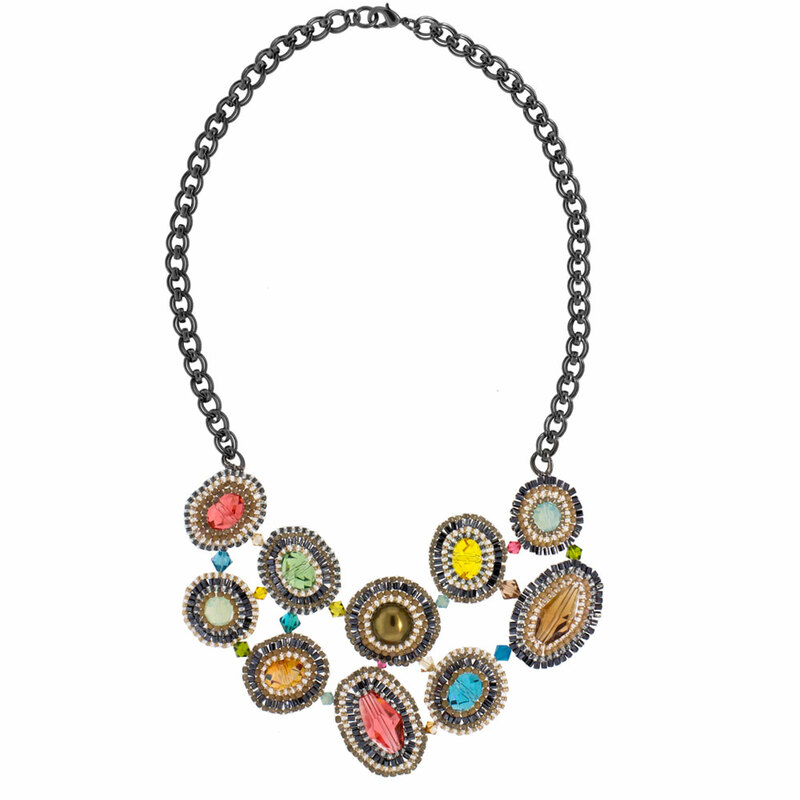 For my favorite inspiration piece, I chose Caribbean Getaway! All of the tropical blue hues make me think of clear, warm waters, laced with coral. 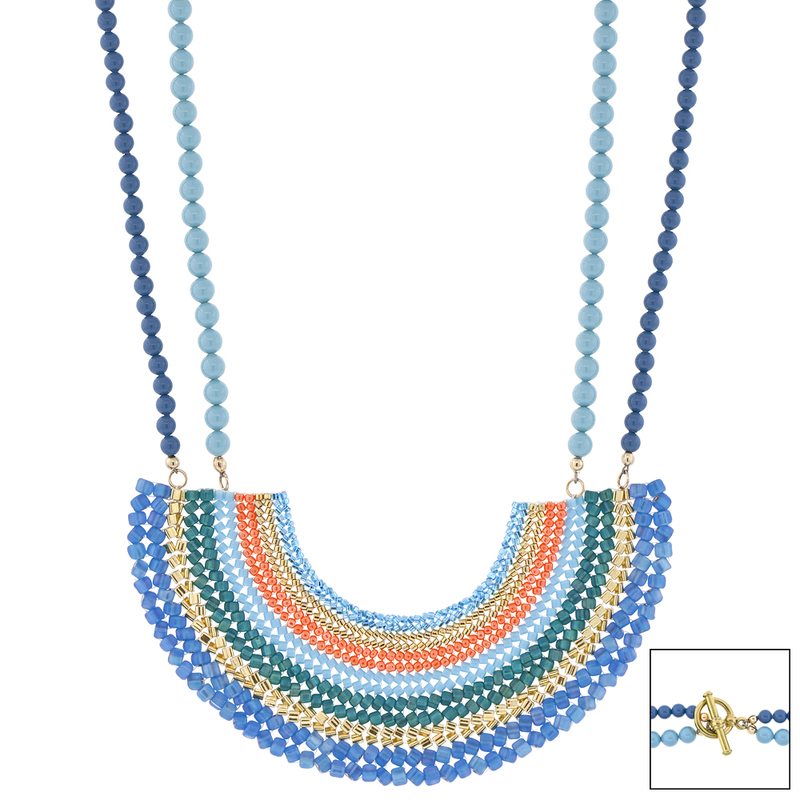 I love the geometric bib style and the straps made of Swarovski crystal pearls in two of my favorite gemstone colors. And, it’s fun to make, and doesn’t require advanced beading skills. Brick-stitch around a Bead is definitely my favorite new technique for 2012. 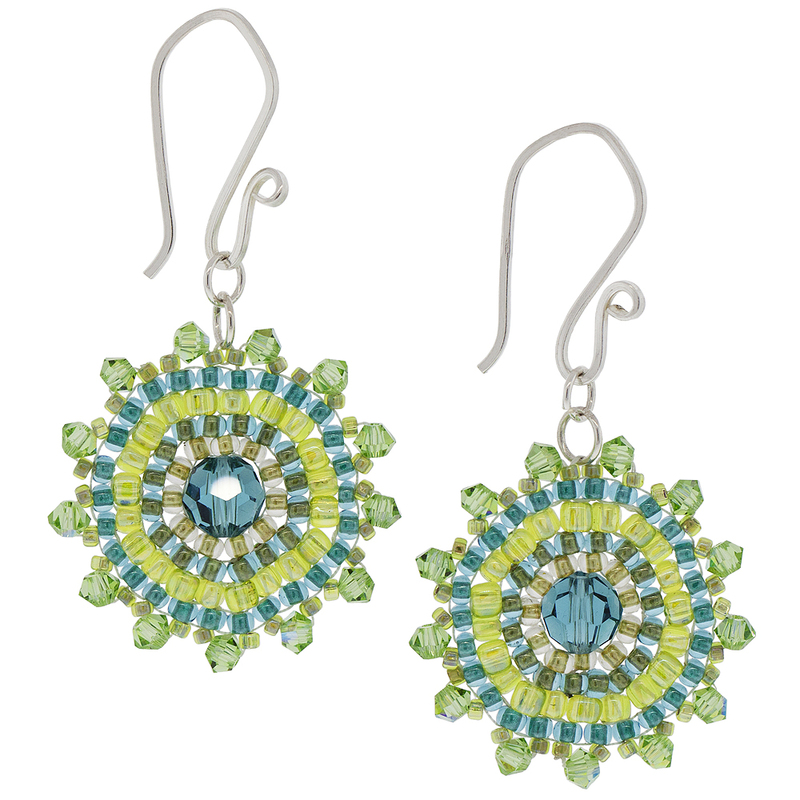 What can be better than surrounding your favorite crystals, pearls or whatever with seed beads? This is a fun way to make components for a necklace, bracelet, or earrings. Check out the possibilities with Carnival in Rio, Band of Bunting, and Mere Mandalas. 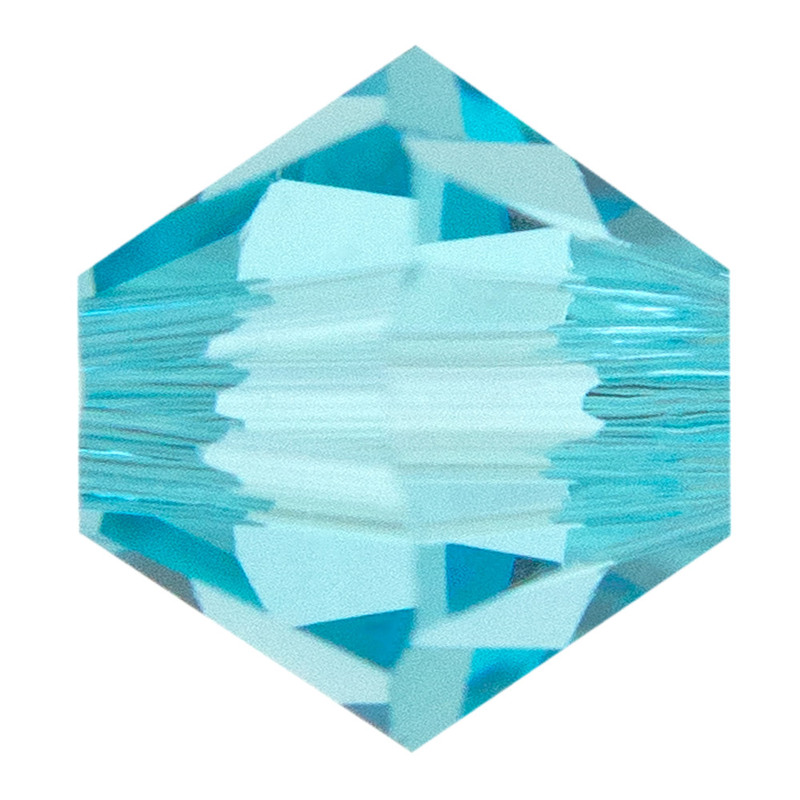 I love everything blue/green, so I was anxious to try the new Swarovski crystal color Light Turquoise. Since it was fall, I chose to pair it with Crystal Copper pear-shaped stones in a pair of earrings I made. It really makes them pop! So, that made my decision about new product easy: Everything Light Turquoise!